A workflow catalog is a repository of flows, reports, URLs, and other processes that can be requested outside of the portal. Since there can be hundreds of catalog items it is best to organize them by category. 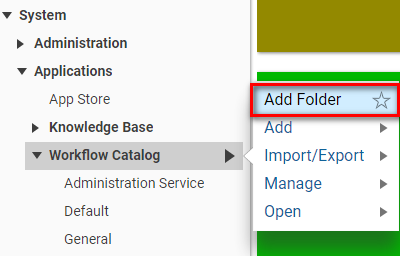 To create a Workflow Catalog category, navigate to the Workflow	Catalog	folder. System > Applications > Workflow Catalog. Right-click on the Workflow Catalog	and select Add Folder	. When you enter this new folder you will access the design elements that are available to be used as catalog items. AnyWorkflow Catalog Items created within this new folder will belong to that category. To begin select Workflow Catalog	from theSystem	folder tree (System > Applications > Workflow Catalog	). Right-click on Workflow Catalog	in the folder tree and select Add Folder	. 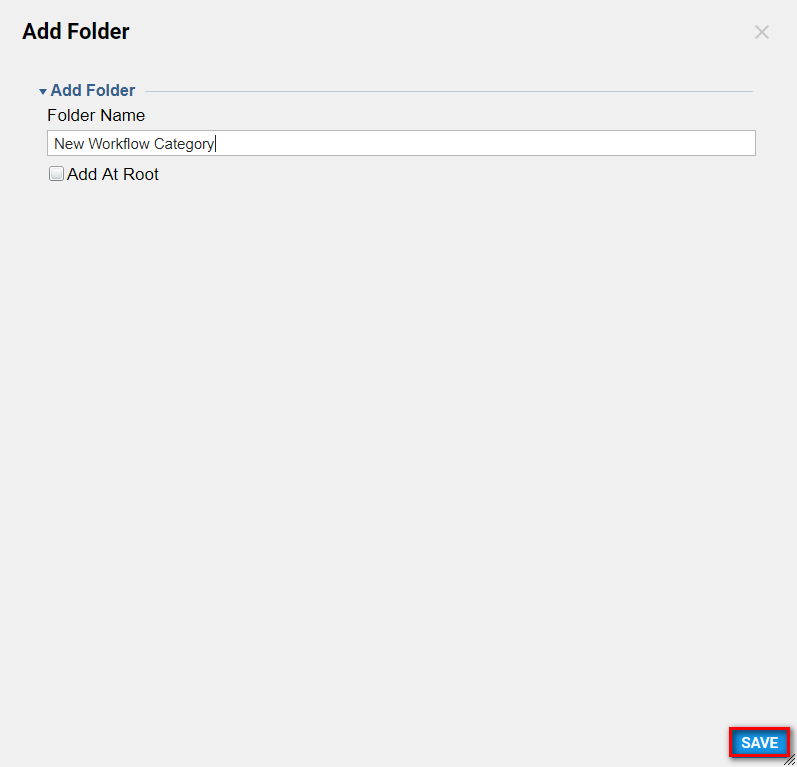 In the Add Folder	popup, we will enter a folder name and click Save	. The new category will appear in a sub folder under the Workflow	Catalog	folder. We can now create workflow catalog items for this category by right-clicking on the title and selectingAdd Catalog Item.